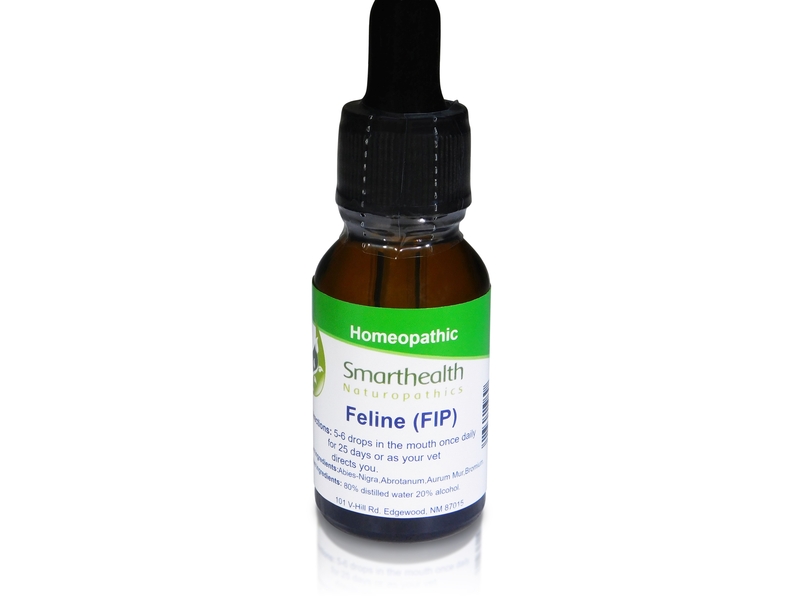 Feline (Fip) All Natural Homeopathic Liquid Drops. May help with many of the symptoms of Feline Infectious Peritonitis. 5-6 drops into the mouth or you can use one dropper full into a small bowl of lukewarm water. Active ingredients:Abies Nigra,Abrotanum,Aurum Mur,Bromium. Inactive ingredients: 80% grain alcohol 20% distilled water. Feline Leukemia Relief & Prevention. Equine Laminitis, All Natural Oral Homeopathic spray. Chicken Antibiotic All Natural Oral Homeopathic Spray.